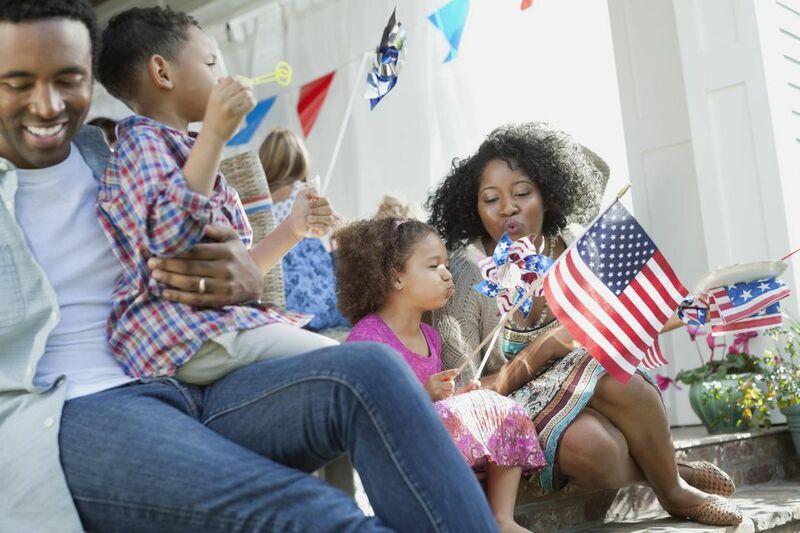 Ask a child the meaning of Memorial Day and they might refer to it as the unofficial start to summer or a day of parades and picnics. But you can help your kids gain a deeper understanding of the holiday by explaining its origin and honoring it in age-appropriate ways. Many people, adults included, confuse Memorial Day with Veterans Day. Veterans Day, which is held on Nov. 11 in the U.S., is a celebration of military service people who are living “to underscore the fact that all those who served—not only those who died—have sacrificed and done their duty,” according to the U.S. Department of Veterans Affairs. Veteran’s Day celebrations are often festive. Memorial Day, on the other hand, honors those who have lost their lives in military service. Ceremonies are more reflective and somber. Memorial Day began shortly after the U.S. Civil War. Some historians say the first observance was in Charleston, S.C., in 1865, when a group of newly-freed slaves reinterred a mass grave of Union soldiers, giving each who lost their life an individual tomb and later decorating those graves in remembrance. Others say it began in 1864 in Boalsburg, Penn., when a woman whose father had died met up with a woman whose son had died and, with a third woman, adorned the two graves. A year later, their village came together to decorate every fallen soldier’s grave with flags and flowers. Tweens and teens might be quite interested in Memorial Day’s meaning and be capable of understanding the sacrifices military people make for the country. With them, you could also talk about the roles that all countries play when there’s a conflict and explain that all families suffer, whether they’re allies or enemies of the U.S., when a loved one dies at war. Younger children, though, might be frightened if they’re told too much too soon about war and death. You know your children best, so it’s best for you to decide how much detail you provide. For some kids, it might be wise to explain Memorial Day simply as a time to say thank you to the people who keep our country safe. Decorate the graves of loved ones with flowers and flags. Display the U.S. flag outside your house. Participate in community events that honor the holiday. Bring doughnuts or patriotic cookies to your local veterans hospital or Veterans of Foreign Wars post. Read a book about Memorial Day with your kids. We recommend The Wall, by Eve Bunting. Serve a patriotic dessert after dinner. Make a patriotic craft and talk with your kids about the holiday as you create together. Wear red, white and blue. Before dinner or bedtime, have a moment of silence in remembrance of those who’ve died. Or, take part in the National Moment of Remembrance at 3 p.m. local time. Go online together and read the names of fallen soldiers. You won’t be able to read every name, but just seeing the lists will help your kids understand that those who sacrificed their lives are more than just numbers. If you attend a parade, teach your kids to stand and place their hands over their hearts when the flag goes by and stand and clap when veterans march past. Even if all you do is talk about the holiday’s meaning, your kids will benefit. They absorb more than we think, and giving them an understanding at an early age of the sacrifices people make for the greater good will help prepare them to be more thoughtful adults.